In this day and age, immigration and business are two hot-button topics. Not surprisingly, immigration and business go hand in hand. 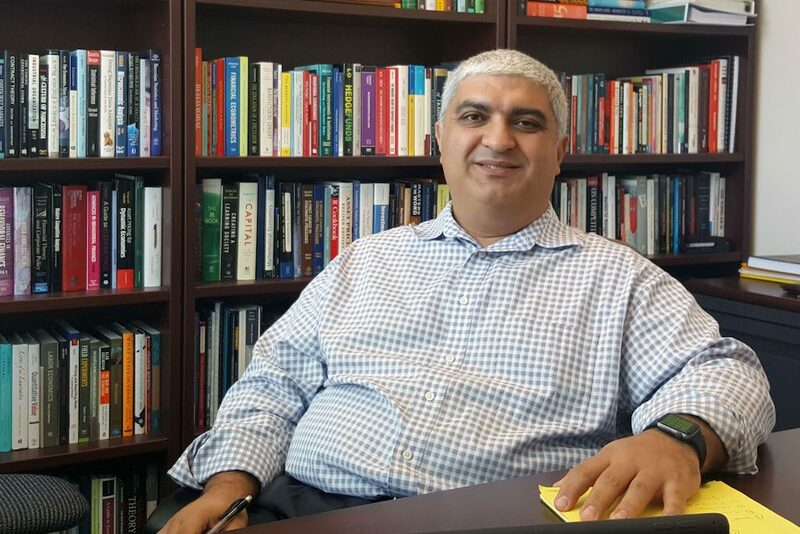 Dr. Umit Gurun, a professor of accounting and finance at the Naveen Jindal School of Management, recently published a study in the Journal of Finance that examines immigrants’ influence on trade. In this Q&A, Dr. Gurun explains some of the aspects of immigration’s effects on commerce. What has your research shown on how much of an impact immigrants have on their home countries when living abroad? More than half of the profits of S&P 500 firms come from overseas, which suggests international relations are a critical source of competitive advantage. Any leg up firms can achieve higher competitive advantage could translate into the bottom line. In our research, we find that the U.S. public corporations based in regions with a large immigrant population surrounding their headquarters tend to trade significantly more with that country than any other foreign trading partner. These companies do more robust and profitable business with these countries than competitors who do not have similar local ties to that nation. Why are firms more likely to trade with countries that have large populations of residents from those countries living near their headquarters? We think that firms located in ethnically diverse locations obtain better, actionable information about foreign countries from their local population groups – information that provides a competitive advantage when it comes to importing and exporting from those countries. This competitive advantage could take several forms, such as access to distribution channels in foreign countries or to negotiate better deal terms with foreign counterparts. Note that companies are not isolated from their environments. They don’t operate in a vacuum. They are not cut off from the rest of the world. They hire employees from their local area and some of these employees come with a unique skill set that could prove useful when these companies interact with the outside world. These companies also tend to appoint more board members whose ethnicity match with the ethnicity of the local immigrant group, and these directors can bring considerable influence to the decision-making process. What is the main take away from your research? The main take away is that immigration is like an investment and it has long-lived, intergenerational implications. Immigration may necessitate outlays in the present that result in large positive payouts unfolding only over the coming generations. Garnering support for these long-lived investments is notoriously difficult. However, these investments are often the most valuable. In our research, we just scratched the surface of this phenomena. Several other researchers are investigating other aspects of immigration and its economic costs/benefits. One of the flash points in the ongoing immigration debate is the purported negative economic impact of certain immigrant communities. But given the evidence of profound corporate benefit for companies based on decades of empirical evidence, it may well be time to reframe the economic debate and rethink the heated conversation about immigration. Do you have any advice to give to students who are prospectively thinking about partaking in financial or business related research? I love the answer Steve Jobs, son of a Syrian immigrant, gave to a similar question: Stay hungry, stay foolish.